Lets fresh air in and keeps flying and biting insects out. Gotcha! 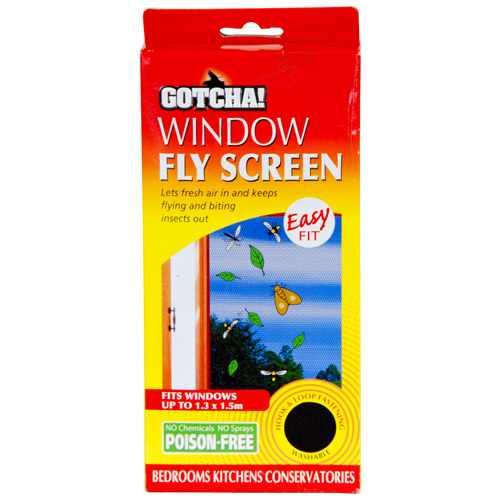 Window Fly Screen is made from a fine meshed charcoal grey material that provides an effective barrier against moths midges mosquitoes and other flying insects. It fits any hinged window up to 1 .5m and forms a virtually invisible insect barrier. Allows air to circulate freely and is ideal for use in bedrooms and living rooms in the warm summer months. Open the window and clean the inside frame carefully. Remove the protective layer on the hook and loop strips and press against the window frame cutting to fit at each corner. Close the window and allow the hook and loop fastening to remain in situ for at least 2 hours. Open window and gently press the fine mesh material onto the hook and loop fastening. Cut off any excess material. 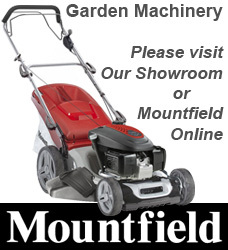 Press the screen carefully with a brush end to fix it firmly to the hook and loop strips. Gotcha! Window Fly Screen can easily be removed for cleaning. Hand wash at 30?C dry thoroughly and re-apply.